ICAAM invites all members and friends to one of their “State of the Nation Dialogues”. For this session we have the pleasure of inviting Mr Shahrol Azral Ibrahim Halmi, CEO and Managing Director of 1Malaysia Development Berhad (1MDB). There will be light refreshments at this Dialogue, so come early and enjoy some networking and food before the Speaker speaks at 8.00 pm sharp. 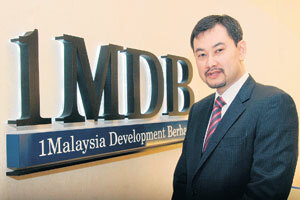 Shahrol Halmi is the MD and CEO of 1Malaysia Development Berhad, a government-owned strategic development company. Amongst 1MDB’s current portfolio are two game changers for the real estate industry, poised to set new worldwide benchmarks for best-in-class smart and sustainable developments – the Kuala Lumpur International Financial District and Bandar Malaysia. 1MDB, via its CSR arm Yayasan 1MDB, also focuses on many programmes to improve access to education to develop talents, bridge gaps and enrich lives. Among its initiatives is Dana Belia, a platform for young people to obtain funding and channel their talent and energy towards promoting youth development in the country. Prior to joining 1MDB, Shahrol was a Partner in Accenture where he acquired over 13 years of experience in providing business consulting services to various organisations in the Government, Financial Services and Oil & Gas sectors. Born in Pahang, Shahrol is a Royal Military College and Stanford University alumnus who graduated in Electrical Engineering. He is also a cat-lover and a self-proclaimed tech geek who enjoys fawning over the latest shiny gadgets.